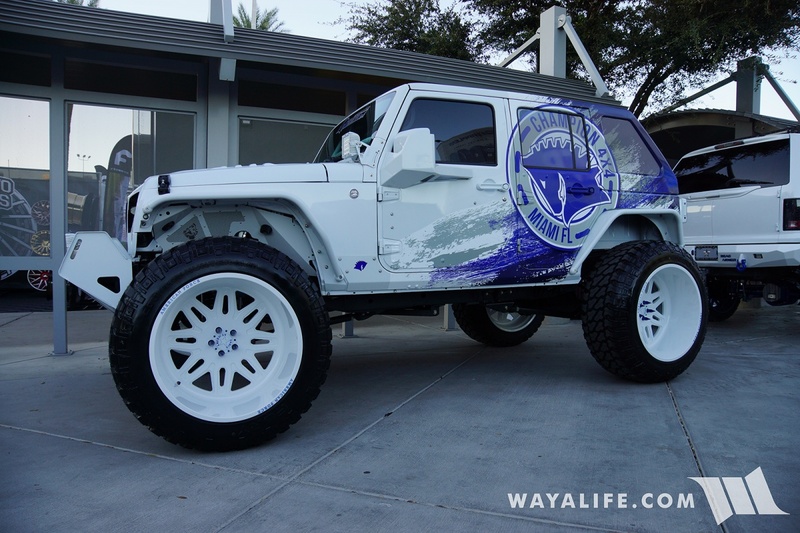 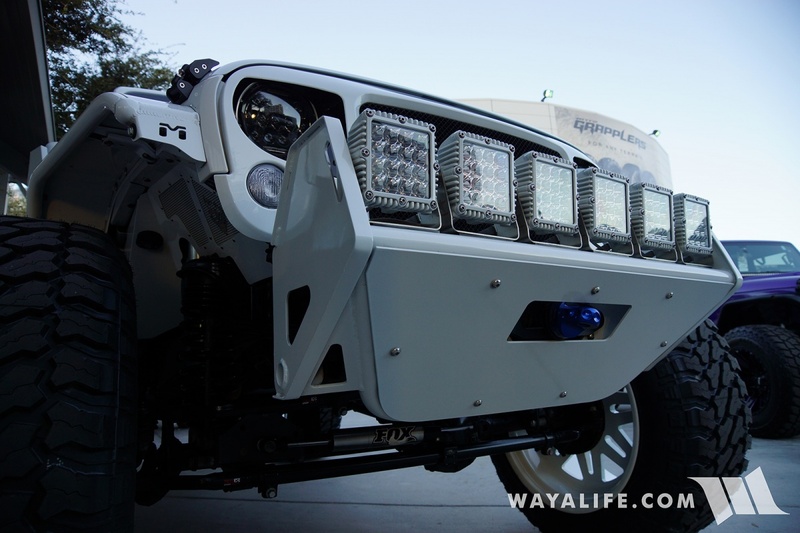 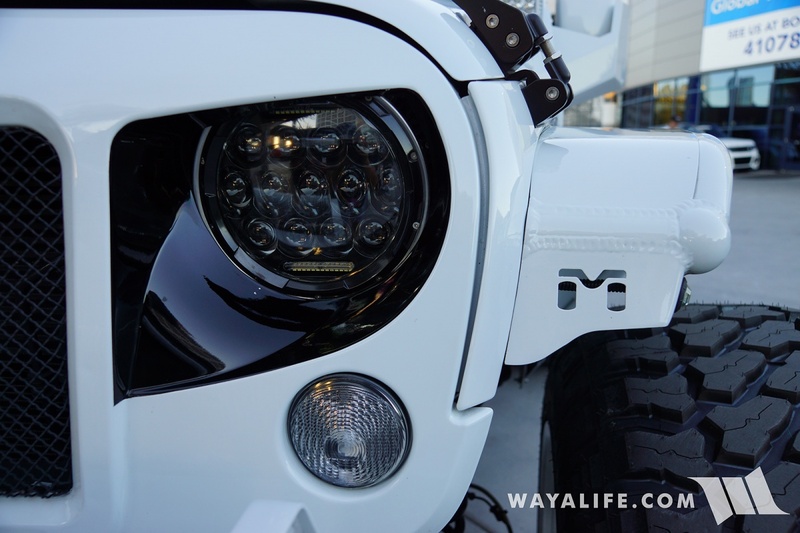 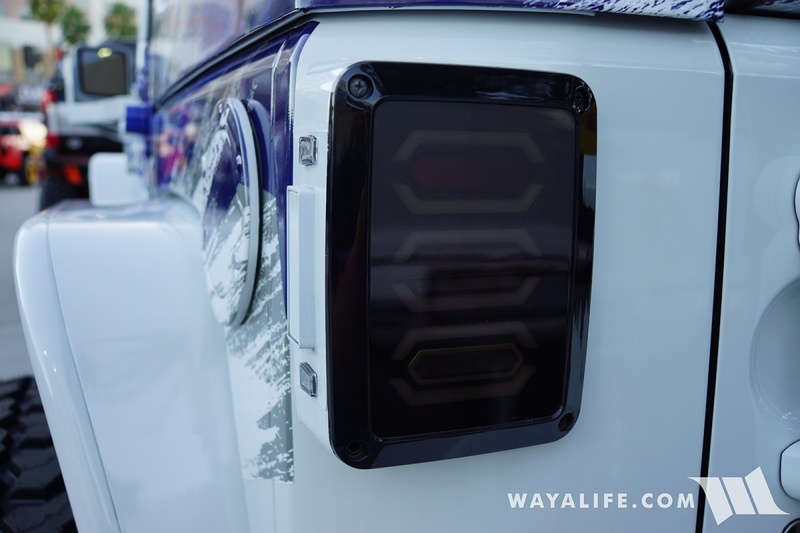 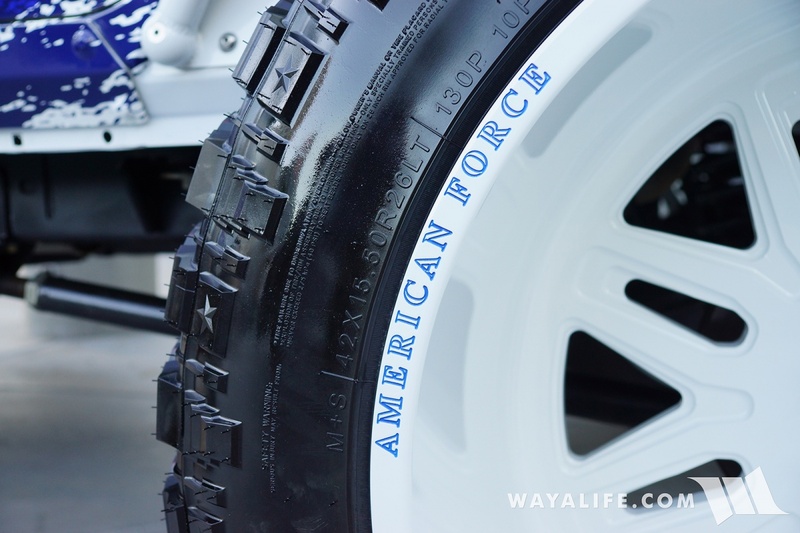 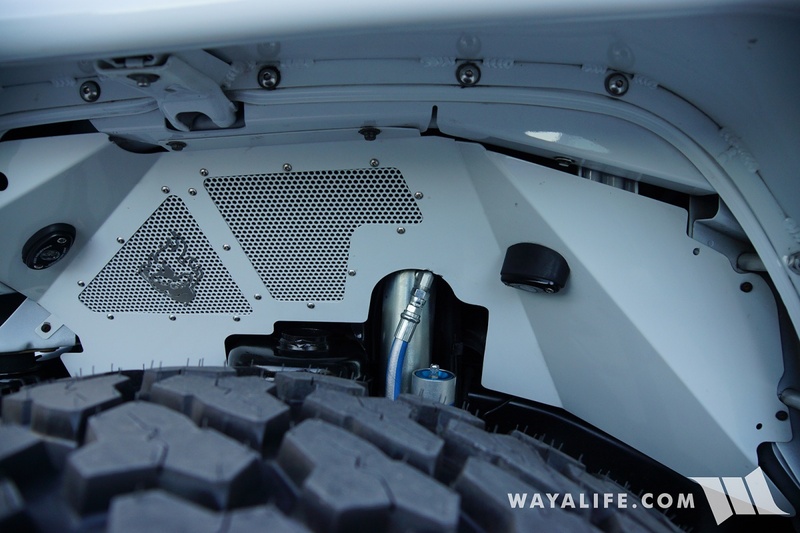 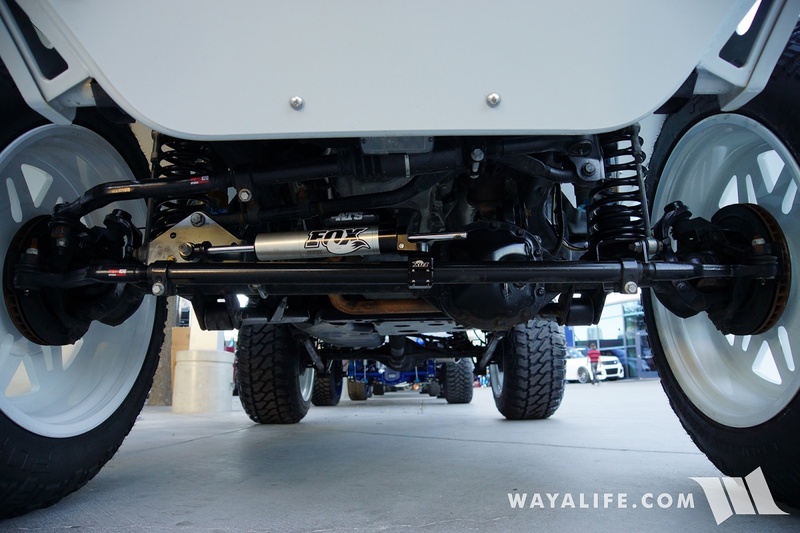 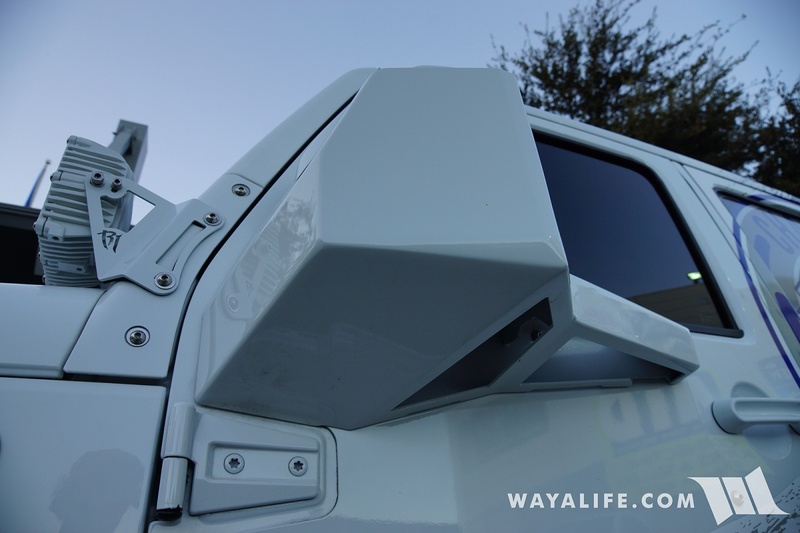 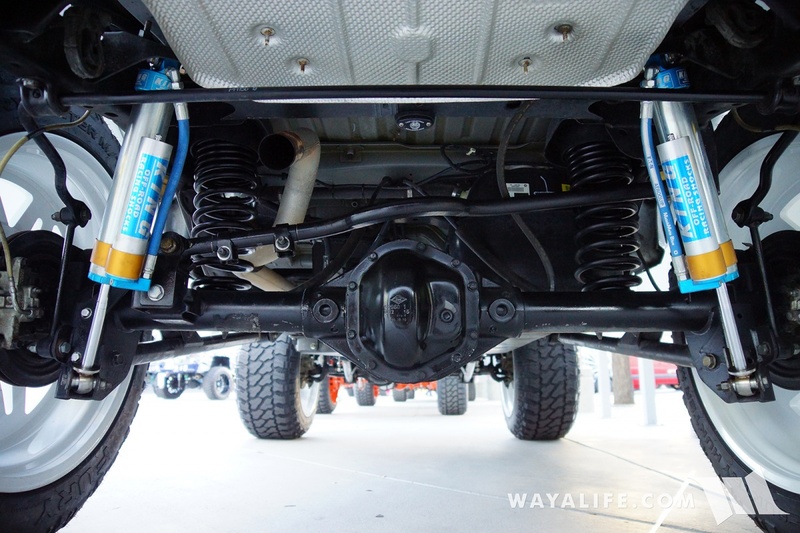 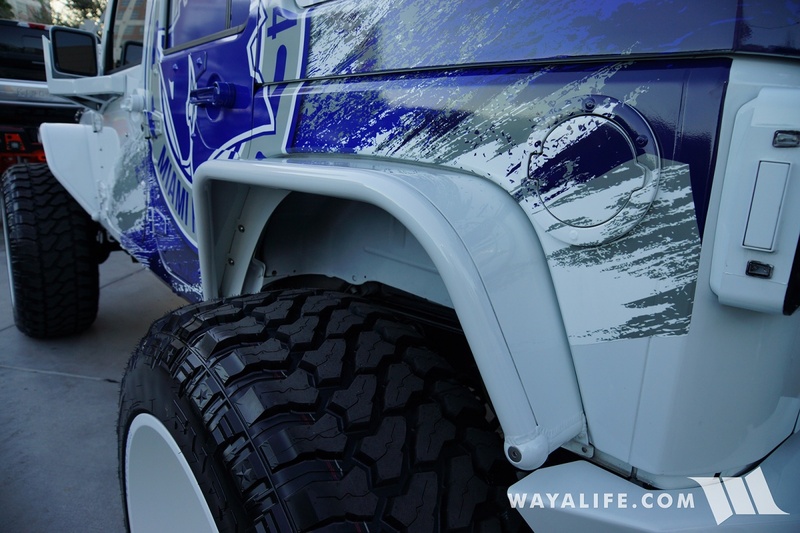 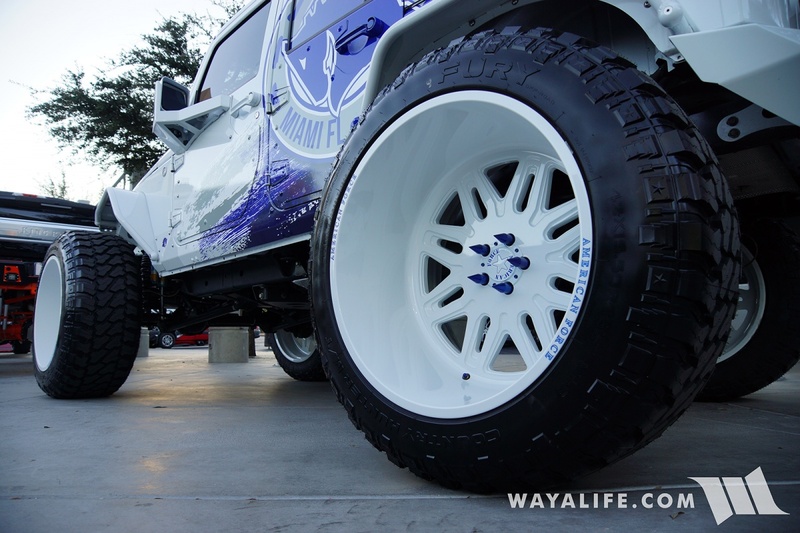 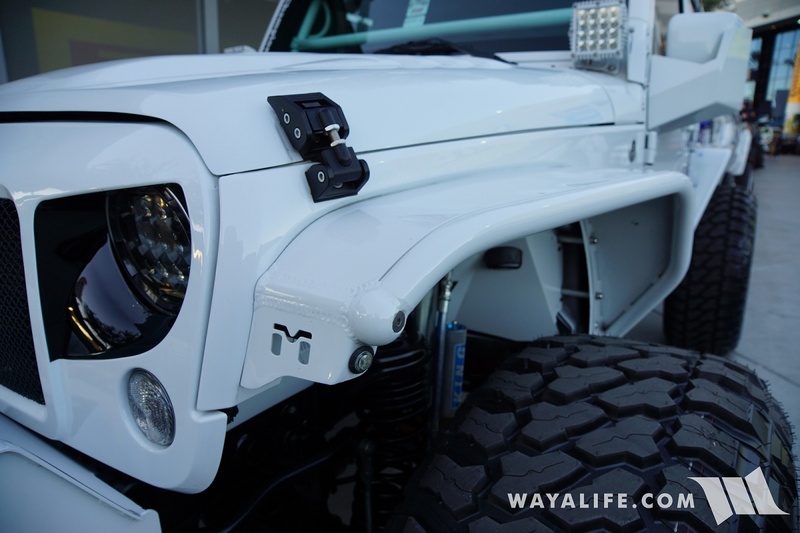 Because every Jeep JK Wrangler needs to be running a set of 42" FURY Country Hunter M/T's mounted on 26" American Force wheels mounted on factory Dana 30 front and Dana 44 rear axles, Champion 4x4 brought this white outed Jeep JK Wrangler Unlimited out to the 2017 SEMA show to show you how its done. 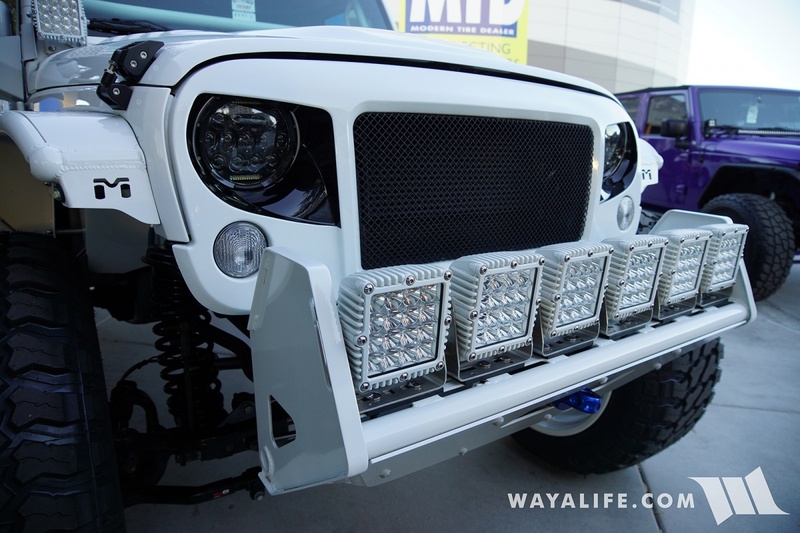 To help complete the total neanderthal unibrow look, they included a HUGE front bumper with a host of driving lights to give it a perfect, BIG toothy under-bite smile and MASSIVE FabFours mirror guards. 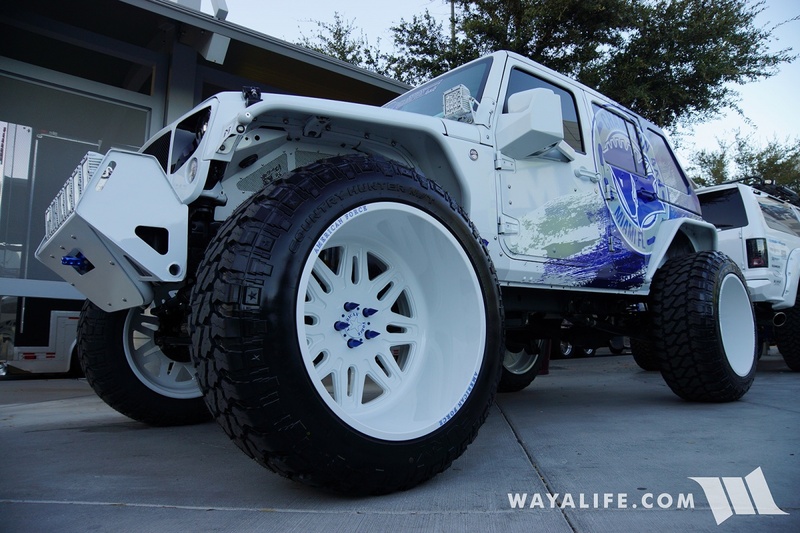 Atrocious. 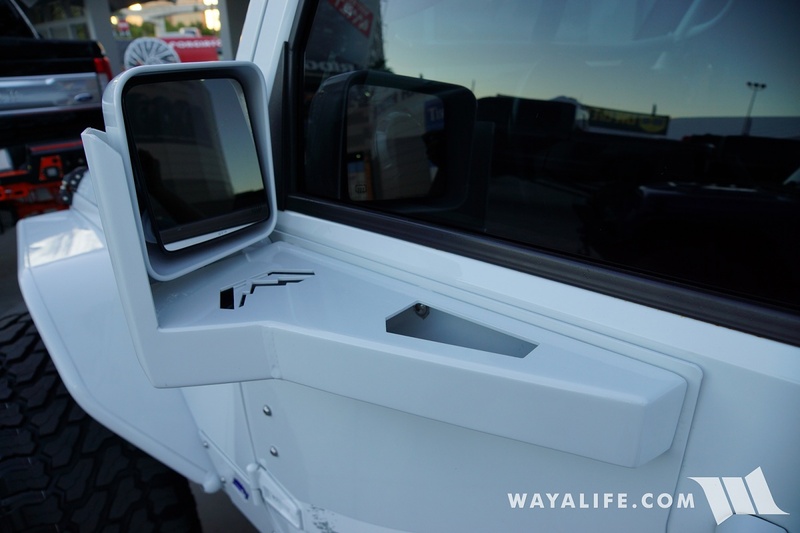 Thank God they didn’t forget the Fab Four mirror guards that probably cost 4 times what a replacement mirror cost. 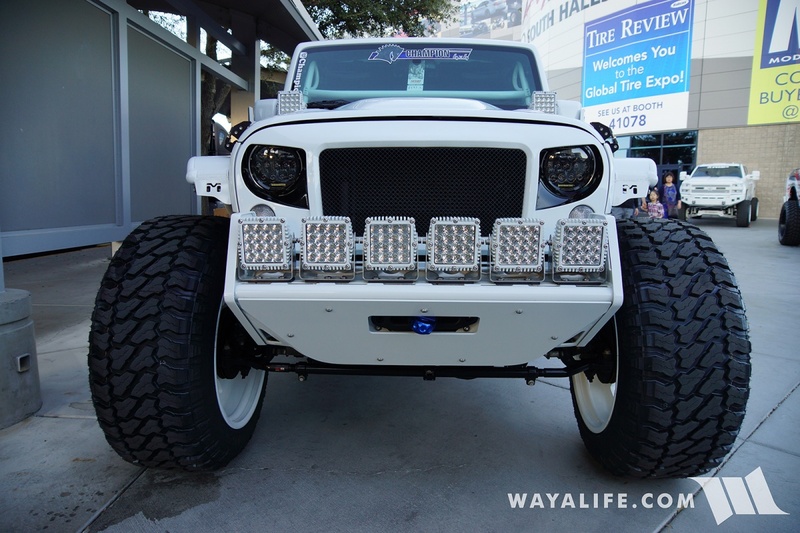 I went to School, but I never learnt what I wanted to!!! 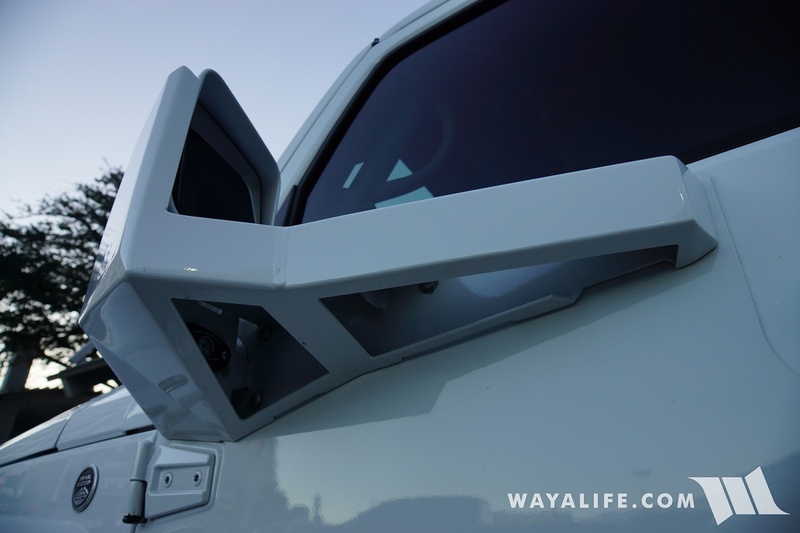 Lol, that’s the first time I am seeing those mirror guards... ridiculous.